Since it’s girl scout cookie season, and I am a total cookie monster. I wanted something that I could eat, so that I wouldn’t be tempted to give in to the yummy little things all around me. 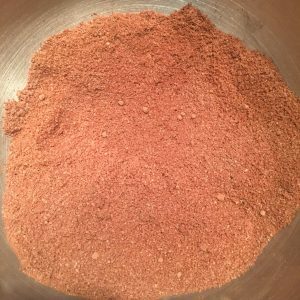 I started out by mixing the Almond Flour , Cacao Powder , Swerve , baking powder, & salt in my kitchen aid mixer. Then I added in the egg (lightly beaten), melted butter, & vanilla in with the dry ingredients. 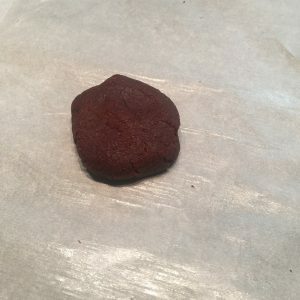 Next, I preheated the oven to 325 degrees, laid out a large piece of parchment paper, folded it in half, plopped my ball of cookie dough in between the two halves, and rolled it out into a super thin layer. 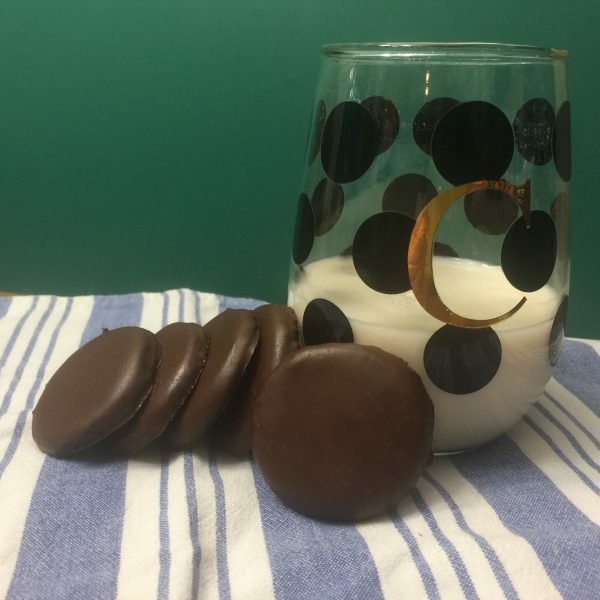 I used a shot glass to cut rounds of the dough out to be the perfect thin mint size cookie, and placed the rounds on a parchment paper lined baking stone. The leftover dough, I rolled into another ball, rolled out, & cut, until I ran out of dough. I made 3 dozen cookies at the thickness that I cut my cookies. I baked the cookies for about 20-30 minutes, until they looked kind of hard, but not burnt, then let cool completely. I sped up the cooling process by setting my pans out in the snow on my deck, but this could also be achieved in the fridge or freezer. Once the cookies were cooled off, it was time to start the mint chocolate coating! 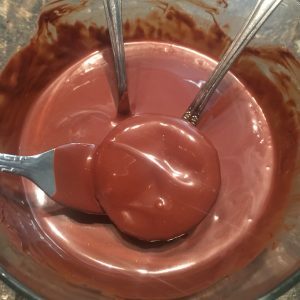 I put the Chocolate Chips and Coconut Oil in a glass microwave safe bowl & microwaved , then stirred in 30 second increments, until the mixture was fully melted & smooth, then stirred in the drops of peppermint essential oil. Please note that you only need 4 drops. I know it doesn’t sound like much, but it’s just the right amount. 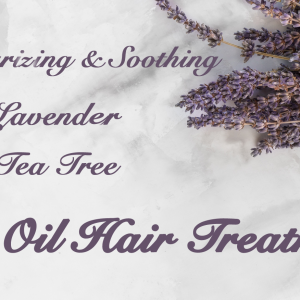 Also, make sure you use a food grade or 100% therapeutic grade essential oil, like Young Living Peppermint Essential Oil, since a lot of essential oils found in stores have fillers and are not good to ingest. 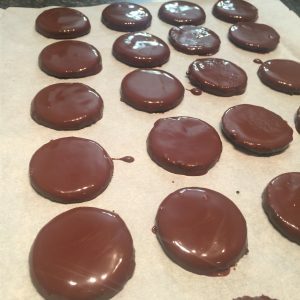 Then, I took my baked cookies and moved them into a pile to one side of the parchment paper, to free up space, and then dipped one at a time into the mint chocolate mixture, with forks, so that the excess chocolate could drip off. This takes a little practice to get them perfectly smooth, believe me… my first few were a bit messy. A tip for not getting clumpy-looking cookies, is to not touch the top of the cookie with the fork, once it’s been dipped, just let us drip off the excess by itself. 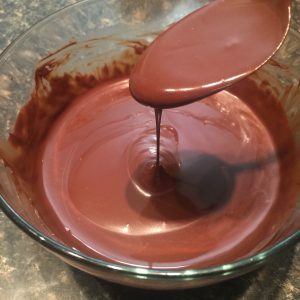 This results in a much smoother, neater looking chocolaty surface. These can be laid out to cool & harden on the freed up space of the parchment paper. I also sped up the cooling & hardening process by, once again, putting them outside on the deck to cool off. Of course this only works when it’s cold out, so I’ll have to resort to cooling in the fridge or freezer, once it gets warm out. 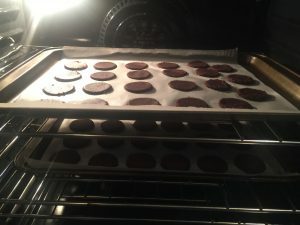 After they’re cooled, they are ready to enjoy! 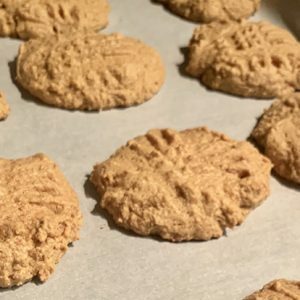 They’re good plain, dipped in a little almond milk, or my favorite, dipped in keto-friendly whipped cream! Yum! 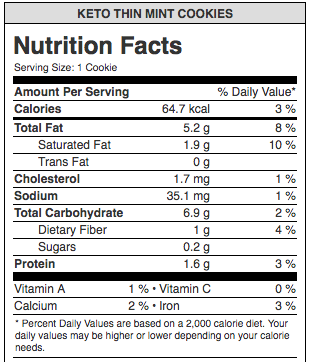 Since it's girl scout cookie season, and I am a total cookie monster. I wanted something that I could eat, so that I wouldn't be tempted to give in to the yummy little things all around me. Mix almond flour, cacao powder, Swerve, baking powder, & salt in electric mixer, until all ingredients are combined. 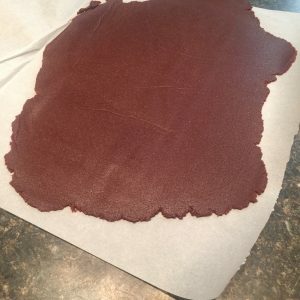 Line bar stones or cookie sheets with parchment paper. Add in melted butter, lightly beaten egg, & vanilla, then mix until the dough starts balling up. 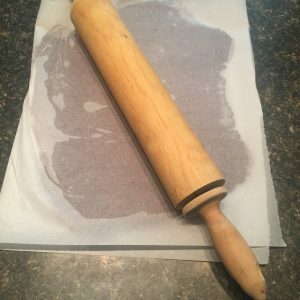 Place ball of dough between 2 pieces of parchment paper (one one large piece, folded in half), and roll out until very thin. 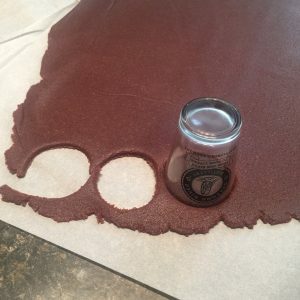 Cut out small rounds of dough & place on parchment lined baking sheets. Re-roll remaining dough, until it's all used up & cut into small rounds & placed on baking sheets. 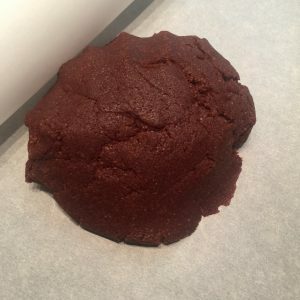 Bake cookies for 20-30 minutes, or until cookies are hardened, but not burnt. Let cool completely, which can be sped up by placing in fridge, freezer, or out on a cold deck. 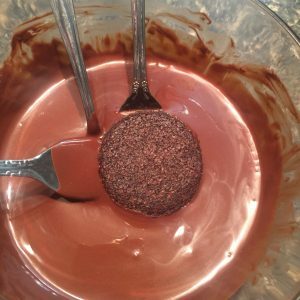 Put the chocolate chips and coconut oil in a glass microwave safe bowl & microwave, & stir in 30 second increments, until the mixture is fully melted & smooth. Stir in the drops of peppermint essential oil. Dip one cookie at a time into the mint chocolate mixture with forks, letting excess chocolate drip off. 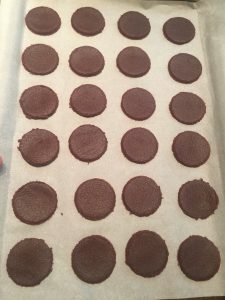 Place on parchment paper to cool, which can also be sped up by placing in fridge, freezer, or out on a cold deck. 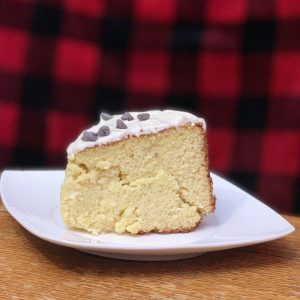 Enjoy plain, dipped in almond milk, or Keto whipped cream! What kind of kitchen aid mixer did you use? I need to buy one but I don’t know anything about them. Thank you. I have a KitchenAid Pro and LOVE it, although my mom & sister both love their tilt-up ones as well. 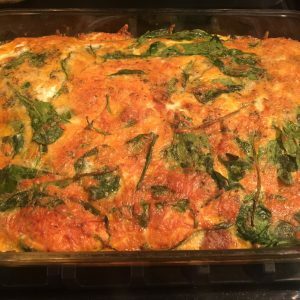 Just starting Keto/LowCarb and recording net carbs religiously. 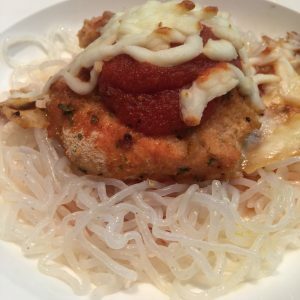 Could you post carb, fat or net carbs. Really feeling positive about this lifestyle and don’t want to sabotage myself. Thanks. Yes! 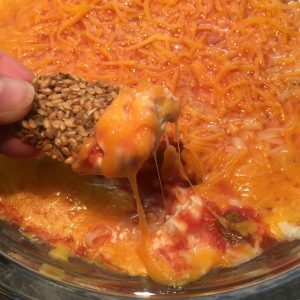 I just finally found a decent nutrition calculator and posted it for this recipe. 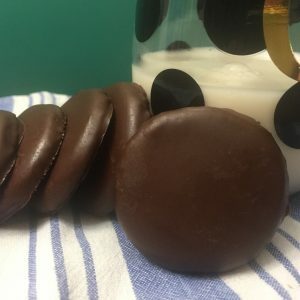 Please keep in mind that it’s for 1 cookie, so if you’re watching your carbs closely, you’ll want to stick to only one cookie at a time, but it’s totally worth it if you’re really craving the real deal thin mints. Are the sugar alcohols included in your carb count? Hi Bree, I think they’re included in the total carb count, but the tool that I use to calculate the nutrition facts don’t separate out the sugar alcohols. Hi Tammy, yes, as long as you bake them for the suggested time, they do turn out crispy! Unfortunately, almonds are a migraine trigger for me! 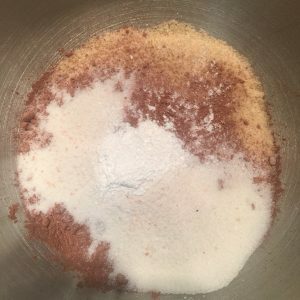 Is there anything else that can be substituted for the almond flour? Hi Kimberly. I’m sorry to hear that. 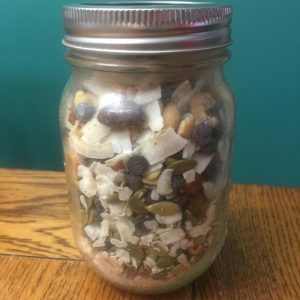 I have not tried this recipe with other flours, but you could try a small batch using coconut flour or other nut flours or nut meals, although the consistency might be a little different. Hi Carrie Marie, I was wondering if you felt that truvia could be substituted for Swerve? I have a ton at home so figured I’d ask. Thanks! 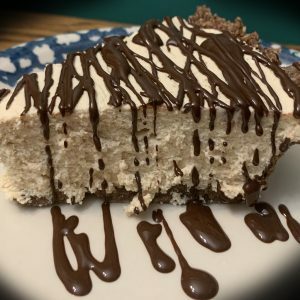 Hi Brenda, I have not tried stevia in this recipe, since I prefer the taste of Swerve in many of my dessert recipes, since it tastes more like sugar, although you could give it a try. I find that stevia is a bit sweeter than Swerve, so you may need to add a little less. If you’d like to give Swerve a try, you can order it on Amazon , or through Thrive Market. 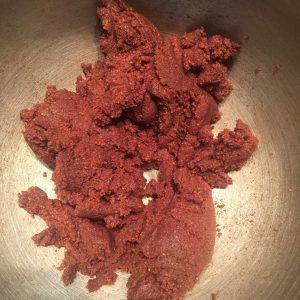 Hi, can an extra tablespoon be used instead of coconut oil. As I’m allergic to coconut. Hi Maureen, You could try replacing the coconut oil with shea butter, although you may want to cut that in half (1/2 Tbsp), although I have never tried this myself. Where did you find sugar free chocolate chips?